Hamilton Encore Symphonic stands have all the features you want and are built to last year after year. The KB95E’s durable steel desk with rolled edges and corner gussets will resist bending and prevent breaking, even if it’s tipped over, and don’t worry about keeping these stands assembled – the desk cannot pull loose from the top post. Other design improvements include a smooth-operating ‘EZ-Just’ clutch, a lower post design for superior stability (no more wobble or plastic breaking). 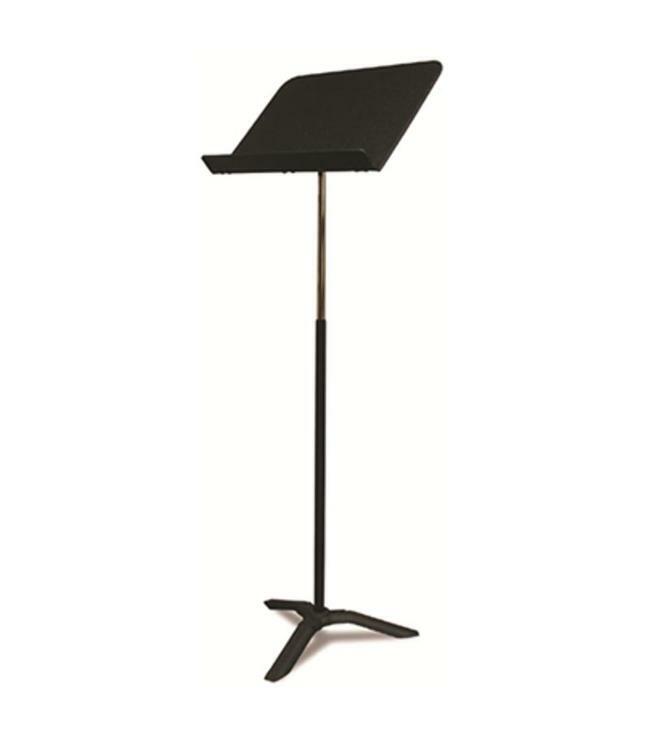 Because they stack easily on most carts (including the Hamilton KB100, Item # 500290) Hamilton’s KB95E Encore Symphonic Music Stand are perfect for schools or venues that frequently feature symphonies/orchestras.